Dr. Alun Hubbard, a researcher at Aberystwyth University’s Centre for Glaciology in Wales, recently returned from Greenland’s Petermann Glacier. Polar scientists last photographed the glacier, located in the northwest corner of the country, in the summer of 2009. 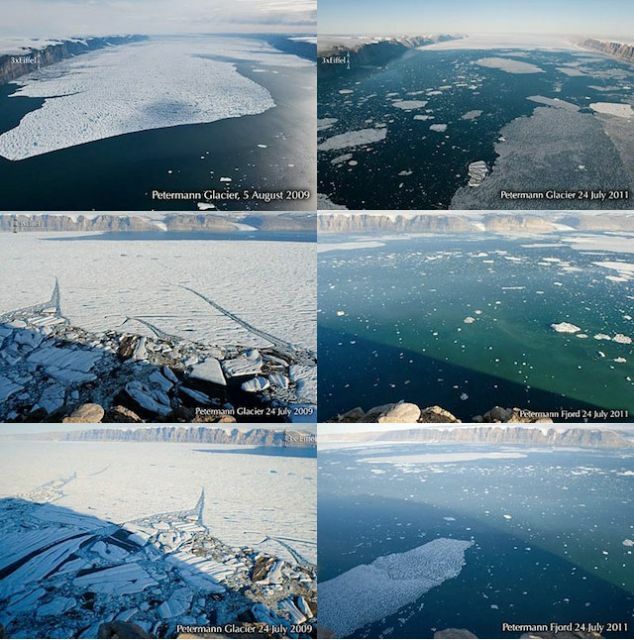 They went back this summer to see how much ice it has lost in just the last two years, and the results were dramatic.